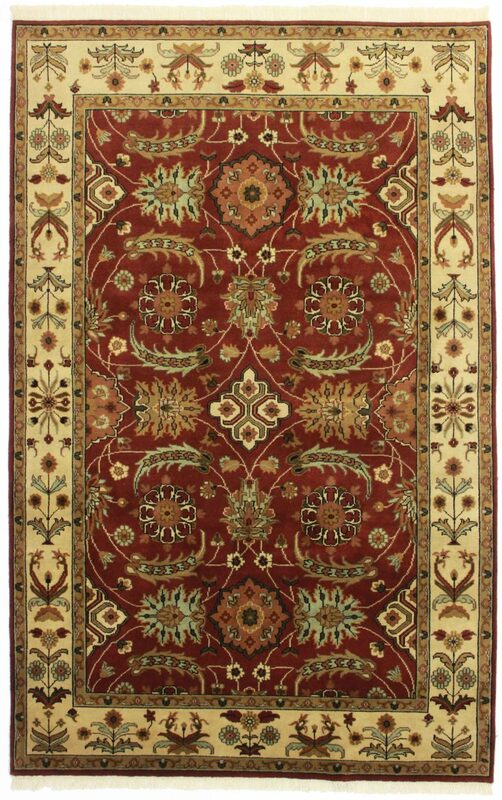 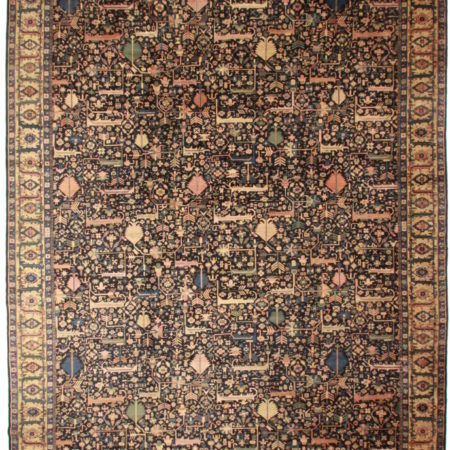 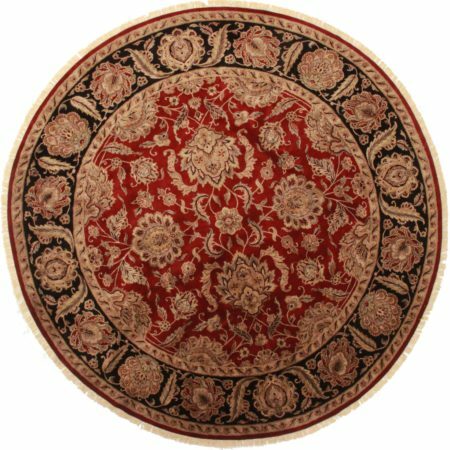 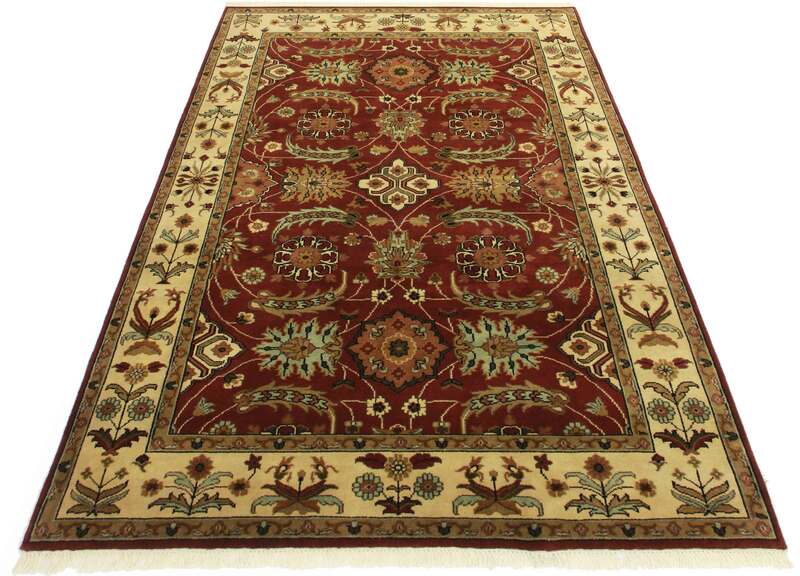 Elegant Indian rug. 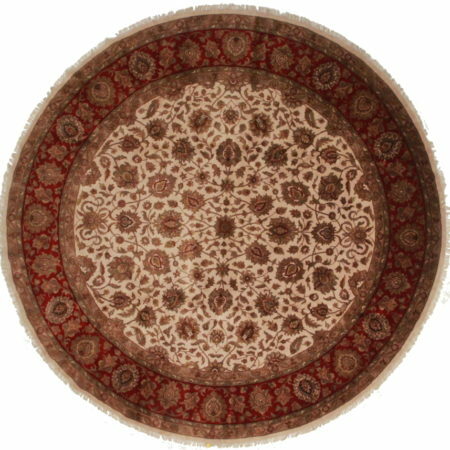 Hand-knotted of wool. Red floral design.